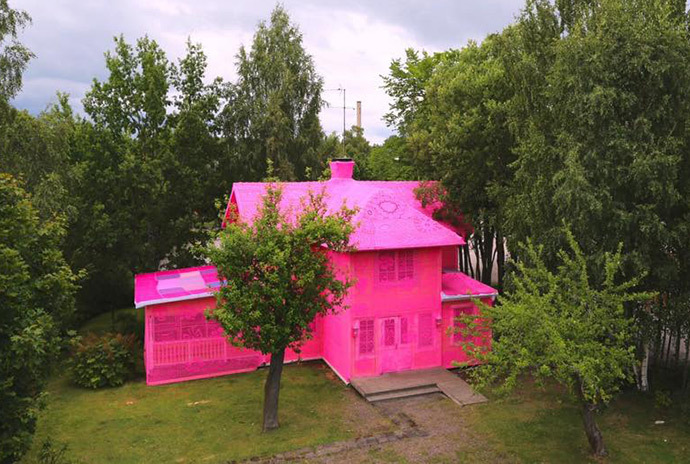 Let’s take a field trip to all the best pink places around the world! 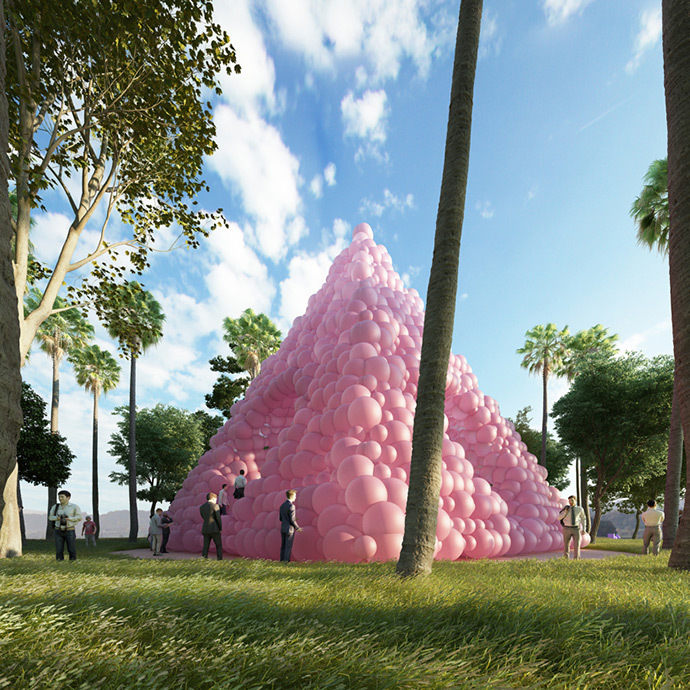 We’ve been noticing some really amazing pink art installations popping up (we’ve been sharing a few of our favorites on Instagram recently!) and like so many others, we’ve fallen in love with these beautiful places. Although some of these art installations are no longer open, we love the internet for letting us admire them from afar! Which one would you like to visit most? This beautiful pink structure was inspired by Georgian design and origami! 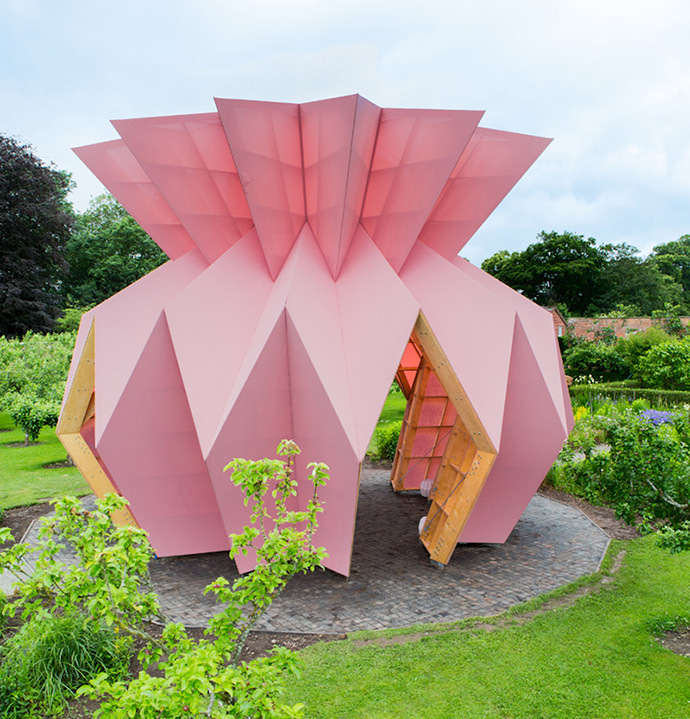 Located on the property of Berrington Hall in Herefordshire, England, this temporary installation is open to the public until December 2019. That squishy pink pillow looks like the perfect place for a nap! It’s actually a part of Ernesto Neto’s 2009 Celula Nave installation at a museum in the Netherlands. 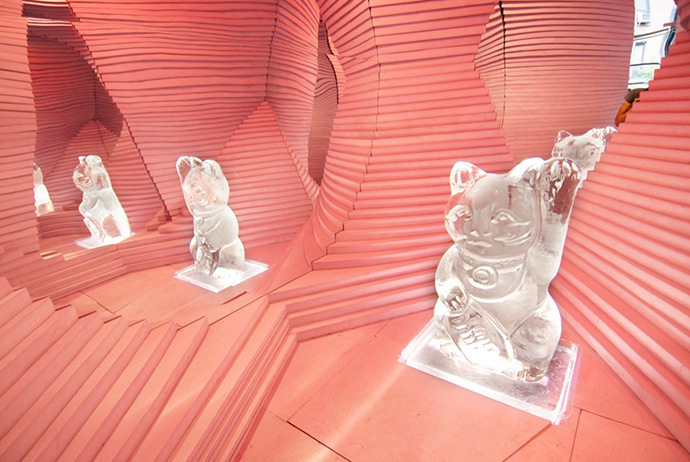 This pink geometric cave was designed by Leong Leong architecture and their team in New York’s Chinatown. The installation was made of insulation foam, so the entire thing was recycled when the exhibit ended. Looking to combine your love of pink with sports? 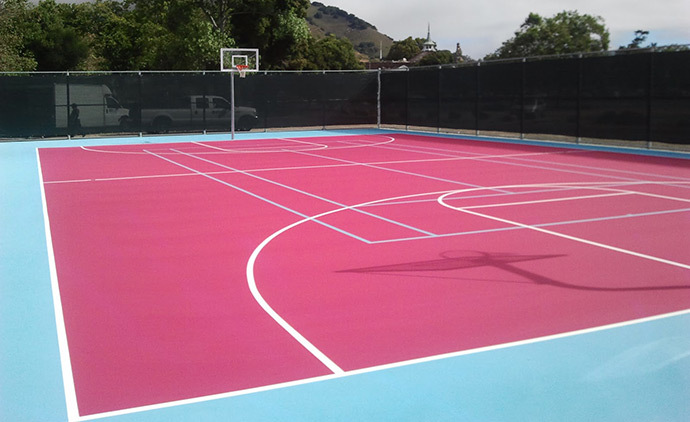 Look no further than this bright pink basketball court at the Madonna Inn in California. P.S. They have pink tennis courts too! 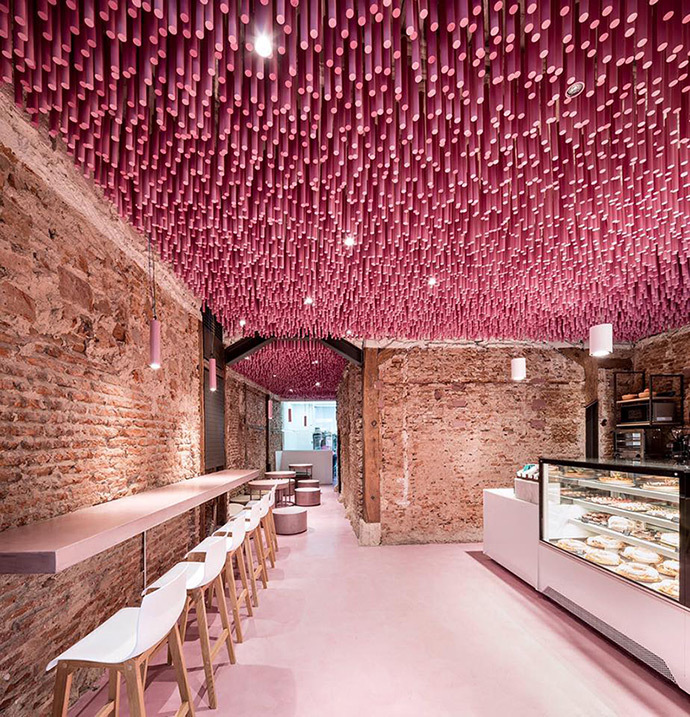 Madrid-based design firm Ideo Arquitectura turned a historic building into a pastel pink space for bakery Pan y Pasteles. The ceiling installation is made up of over 12,000 painted wooden dowels! Last but not least we had to shout-out this amazing pink pyramid! Cyril Lancelin of Paris-based design firm Town and Concrete has dreamed up this amazing structure to travel to various galleries, events, and festivals. For the time being this piece hasn’t yet been built, but this illustration has got us excited to see the real thing!